On the battlefield information and mobility are key to reacting to the shifting tides of war. Often in war top of the line technology works along side proven weapons and tactics used throughout history. In every major conflict special units have been organized to stay one step ahead of the enemy, infiltrating areas larger force could not. War Runner brings you beyond the front line and deep into enemy territory as one of those units. With the rise of technology on and off the battlefield, often the simplest tactics can be used to outsmart the more complex. While transmitted encoded messages are open to being intercepted by viruses, code breaking programs, and espionage agents, a fast moving soldier can carefully and excellently guide sensitive intelligence through dangerous territories. One man can slip through patrols, check points, and is harder to track than any army ever could. A nontraditional shooter game, either in first or third person, where players must guide their character through enemy occupied terrain to reach an objective. Their character is a futuristic soldier geared for speed, not heavy combat, so players must keep moving and play smart to survive. Superior speed, parkour moves, cover, and close combat skills must all be utilized to successfully navigate through a level. War Runner would not play like your average tank of a space marine mowing down enemies but more like Mirror's Edge crossed with Splinter Cell. 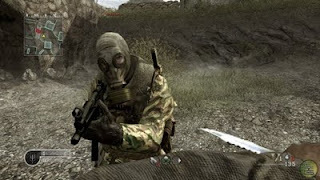 Stepping back to some of the first shooters out there, a player's ability to strafe enemy fire and rush between strategic positions would be at the core. Running through war torn cities players would cross paths with enemy troops and would have to quickly decide between fight or flight. With small patrols players might be able to take them out swiftly by surprise in a close combat fight. Though large enemy groups may best be avoided, players would have more options than just running away from a fight. Ambushing smaller groups, getting too close for enemies to use their weapons, and run and gun tactics would be put into play at all times. Two scouts are sent ahead of the main group escorting a tank through an abandoned city. A player could rush at the scouts, and taking them by surprise, knock one down, snap the other one's neck, and finish off the one on the ground. Going back to the main force, while they divide to go to check out what happened to the scouts, attack from the rear and use the tank as cover as you take down the remaining enemies. The whole time keeping the tank close enough that it cannot fire at you, eventually over powering a group that would be more than a match if taken on directly. Sprinting and melee attacks are now very common in war games, from Halo to Call of Duty. War Runner would place you not as a front line, bullet absorbing hero, but as a swift and deadly lone soldier running behind enemy lines. 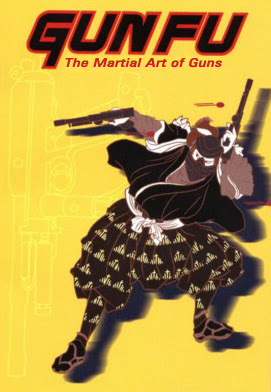 With speed and parkour moves, difficult terrain could be easily passed, and with light weapons and gun fu, enemies could be easily overpowered in close combat. All together War Runner would bring a completely new experience to the over saturated market of same old shooters out there.